Some of the participants for the International Mobile Film Festival in San Diego. Includes filmmakers and sponsors. GuestAaron Nabus | Hall H Show PodcastCo-host of the @hallhdotcom #HallHshow, a podcast for independent creators. #GraphicDesigner. #ComicConFit motivator. #NeverTryNeverFlyAaron NabusAaron Nabus | Hall H Show Podcast (@AaronNabus) on TwitterWe are off to a great new year and we chat with our brand ambassador, Aaron Nabus in Episode 46 of the SBP Podcast: The voice of mobile film™ about mobile film in 2019. Come hang out with us.In this podcast we don’t just talk about the film festivals and filmmakers but we also share things like why you would want to shoot widescreen during an event and using a smartphone to capture video in a crowd, especially if you are a video paparazzi…is that a thing? Yet? Also the risks of using a DSLR compared to a smartphone during those situations. We mention some of our mutual friends and some of our film festival friends, some past guests from our podcast too. We spoke a bit about our San Diego Comic-Con International presentation because we had such a great turnout and so much fun! There is a bit of how we did during our presentation, workshop during the inaugural IndyShorts International Film Festival in Indianapolis this summer as well and how the mobile film community Hashtag MobilizeStories, which we launched this summer, is doing and our plans for the community and the upcoming International Mobile Film Festival in San Diego. Below are some links to topics we mentioned during our podcast, including some videos.Episode 25 of the SBP Podcast recorded during the Steampunk Gaslight Gathering in February 2018 with guest Tracy “HotNerdGirl” of the Star Wars Steampunk Universe https://sbppodcast.podiant.co/e/361f7b92f41ef2/Our video interview with Kid Comics creator Keithan Jones During SDCC 2018 https://youtu.be/VHPg4jaJcCsOur smartphone “Video Paparazzi” of Jason Momoa Nicole Kidman and Amber Heard during SDCC 2018 https://youtu.be/vUMR0yHjfuQFollow Aaron and his podcasthttps://hallh.comAaron on Twitter: https://twitter.com/aaronnabus?lang=enInstagram: https://www.instagram.com/aaronnabus/Facebook: https://www.facebook.com/aaron.nabus/Our Links:Global Mobile Film Awards™ Website: http://globalmobilefilmawards.comSubscribe, support and listen to bonus episodes and more on Patreon: http://patreon.com/sbppodcastSBP Podcast Blog: http://sbppodcast.wordpress.comSBP Podcast Website: http://sbppodcast.studioiTunes/Apple Podcasts: https://itunes.apple.com/us/podcast/sbp-podcast/id1296673665International Mobile Film Festival Website: http://internationalmobilefilmfestival.comFacebook: http://facebook.com/sbppodcastTwitter: http://twitter.com/sbppodcastHashtag: MobilizeStories Mobile Film Community Website: http://mobilizestories.comSusy Botello on Twitter: http://twitter.com/susybotelloSBP Podcast on Spotify: https://open.spotify.com/show/4ISEF0SZOLyRpw20loXzlo#upsellSmartphone Filmmaking Publication on Medium: https://medium.com/smartphonefilmmaking© Copyright 2018 S. Botello Productions™. All rights reserved. Aaron Nabus has been our Brand Sponsor since January 2018 and is a sponsor for IMFF 2019. Understanding each other is part of our communication skills as we share our stories with others around us. Sometimes, a story needs to go further than the people around us. We can write or share it on social media and reach a lot of people around the world. Alexandra Guillossou went a step further. She brought her skills to create a film about a personal story very dear to her family. While on vacation, she just happened to have her smartphone with her, just like many of us do. She began to record her brother, who suffers from Multiple Sclerosis. Episode 53 of the SBP Podcast Mobile Filmmaking shares the story behind how she was able to turn the footage into a delicate story using her smartphone.There are many steps to creating a film but usually, films are planned. Most filmmakers don’t carry a camera around wherever they happen to go. It can be bulky and maybe very inconvenient. Sitting out by a lake as your family is barbecuing…that just may not be a scenario you bring a professional camera to. But Alexandra had her phone with her and decided to record and document the scene without much planning. It wasn’t until she had captured the footage that she began to construct the story. The story has an impact for those who watch the entire film. It is a reality many of us do not understand what it’s like to have or live with the effects of someone close suffering with this disease. The power of stories can change lives. There are people who don’t understand what is happening during the course of an event but can watch a film like The Deepest Cut and realize the whole story in a way they couldn’t before. During our podcast conversation, Alexandra says, “It’s one thing to tell a story. It’s another thing to watch the story you just told.” The purpose of sharing her story is to bring awareness to debilitating diseases that many people do not understand. Sometimes, we need to understand these things happen to normal people and perhaps it can bring some light to the challenges. Alexandra points out how some people do not have a strong support system and their voices can get lost. We hope sharing her film, The Deepest Cut can help connect us as a society and as human beings. It would make the world a better place for each other if we could all respect and understand the challenges we all face each and every day. After all, we are all a story unfolding through the course of our life.Meet Alexandra Guillossou during the International Mobile Film Festival in San Diego April 27 & 28 and watch her film with her and other filmmakers. Get Tickets.SBP Podcast: The Voice of Mobile Film™ is for everyone who ever wanted to or is curious about making movies and videos using smartphones.Watch the trailer for The Deepest Cut, screening during #MFF2019SanDiego: https://vimeo.com/319349811Follow Alexandra Guillossou:Vimeo: https://vimeo.com/alexguillossouInstagram: https://www.instagram.com/onemousecreative/Facebook: https://www.facebook.com/onemousecreativeTwitter: https://twitter.com/onemousecreativOur Links: Get Tickets to the International Mobile Film Festival April 27 & 28: https://www.freshtix.com/events/international-mobile-film-festival-2Get all the details about this year’s film festival: http://bit.ly/MobileFilmRocksSubscribe, support and listen to bonus episodes and more on Patreon: http://patreon.com/sbppodcastSBP Podcast Blog: http://sbppodcast.wordpress.comSBP Podcast Website: http://sbppodcast.studioiTunes/Apple Podcasts: https://itunes.apple.com/us/podcast/sbp-podcast/id1296673665International Mobile Film Festival Website: http://internationalmobilefilmfestival.comFacebook: http://facebook.com/sbppodcastTwitter: http://twitter.com/sbppodcastHashtag: MobilizeStories Mobile Film Community Website: http://mobilizestories.comSusy Botello on Twitter: http://twitter.com/susybotelloSBP Podcast on Spotify: https://open.spotify.com/show/4ISEF0SZOLyRpw20loXzlo#upsellSmartphone Filmmaking Publication on Medium: https://medium.com/smartphonefilmmakingAre you starting a Podcast? Create a new podcast or network and use the code sbppodcast to apply a 25% discount and save: https://pcast.link/sbppodcast/© Copyright 2019 S. Botello Productions™. All rights reserved. Alexandra Guillossou submitted her short film, The Deepest Cut to IMFF 2019 and it was selected as a Community Story. Alexandra will screen her film and provide a brief Q & A during the festival in San Diego. GuestsAaron Nabus | Hall H Show PodcastCo-host of the @hallhdotcom #HallHshow, a podcast for independent creators. #GraphicDesigner. #ComicConFit motivator. #NeverTryNeverFlyAaron NabusAaron Nabus | Hall H Show Podcast (@AaronNabus) on TwitterHot Nerd GirlNerd girls of the world unite! Writer and lover of sci-fi, fantasy, comics, horror, science, space. Occasional quasi cosplayer. https://t.co/nrgMH03DbgHot Nerd Girl (@hot_nerd_girl) | TwitterHotNerdGirl.com | nerd harderStar Wars Steampunk Universe is a charity support group based in Southern California which takes part in charities and events in southern California. They do crossover events with other charity groups. Two of the founding members of the Star Wars Steampunk Universe are our guests in Episode 52 of the SBP Podcast Mobile Filmmaking. Founders of the group, who are still active participants, are Dude Vader (Chris), Captain Solo Seekerman (Nathan Seekerman), Hot Nerd Girl (Tracy), Kansas City Photography (Kansas Johnson), Lando Chronos / Family Goals Cosplay (James) and DLo Cosplay (Shaylor). They’ve added many more members to their group over the years.Chris emphasized they are not a cosplay group but a charity support group for Southern California and is specific to Star Wars. He mentions the Sci-Fi Coalition as one of the main groups they team up with and how they “do every version of cosplay you can think of.” Chris mentioned he is a part of about 100 events a year and 80 or so, of them, are charity.The group caught the eye of Lucas Film when they teamed up for a panel at Star Wars Celebration Anaheim in 2015. They soon began to form the Star Wars Steampunk Universe and their debut as a group was at the San Diego Comic-Con International in 2016 where they received an award as the Best Costume Group from the Hollywood Costume Designer’s Guild.Chris plays Dude Vader which is a steampunk version of Darth Vader and Tracy “Hot Nerd Girl” plays Sabe Sprocket, a steampunk version of Queen Amidala’s bodyguard. The group is able to get creative with their Star Wars character outfits thanks to encouragement from Lucas Film and Disney.We shared an insight story of how we connected with the group to include them in our film festival. Tracy has changed her outfit at least three times and Chris said that when it comes to Dude Vader, “There are over 300 versions right now.”We asked Tracy where the name “Hot Nerd Girl” came from. Tracy shares the story including her blog and social media following on Facebook of around 70 thousand.The story about this group is very interesting and their insights are intriguing. Chris and Tracy share many names from the history of their group and their current story. They were a part of the world premier of “Star Wars: The Force Awakens” in Hollywood and they shared an emotional moment during the film screening with their group with Nathan Seekerman who plays Captain Solo Seekerman.One thing we spoke about was how being behind a mask can help them deal with emotional situations during events as a charity. There is a similarity in documentary filmmaking behind the camera. Of course, we spoke about the importance of the red carpet for film festivals including what happens on our red carpet. At around 42 minutes into the podcast, Chris and Tracy speak about how and why cosplayers should make films using their smartphones. We had one of the funnest shout outs to the sponsors for #MFF2019SanDiego: Red Giant, Film Convert, Hall H Show Podcast, Star Wars Steampunk Universe, and Grip & Shoot. We also gave a special shoutout to Swords and Circuitry Studios and Uncharted Regions’ Neal and Jana Hallford.This podcast is a little longer than usual but you’ll want to stay through to the end…if anything, for pure entertainment.SBP Podcast: The Voice of Mobile Film™ is for everyone who ever wanted to or is curious about making movies and videos using smartphones.Watch their video which they made in 2017 for the International Mobile Film Festival: https://youtu.be/uMdOzXTYx54Follow Star Wars Steampunk Universe on Facebook and Instagram:Instagram: https://www.instagram.com/starwarssteampunkuniverse/Facebook: https://www.facebook.com/StarWarsSteampunkUniverse/Website for Hot Nerd Girl: http://hotnerdgirl.comDude Vader on Facebook: https://www.facebook.com/DudeVaderCanole/Our Links:Subscribe, support and listen to bonus episodes and more on Patreon: http://patreon.com/sbppodcastSBP Podcast Blog: http://sbppodcast.wordpress.comSBP Podcast Website: http://sbppodcast.studioiTunes/Apple Podcasts: https://itunes.apple.com/us/podcast/sbp-podcast/id1296673665International Mobile Film Festival Website: http://internationalmobilefilmfestival.comFacebook: http://facebook.com/sbppodcastTwitter: http://twitter.com/sbppodcastHashtag: MobilizeStories Mobile Film Community Website: http://mobilizestories.comSusy Botello on Twitter: http://twitter.com/susybotelloSBP Podcast on Spotify: https://open.spotify.com/show/4ISEF0SZOLyRpw20loXzlo#upsellSmartphone Filmmaking Publication on Medium: https://medium.com/smartphonefilmmakingAre you starting a Podcast? Create a new podcast or network and use the code sbppodcast to apply a 25% discount and save: https://pcast.link/sbppodcast/© Copyright 2019 S. Botello Productions™. All rights reserved. The story behind this charity group of cosplayers, Star Wars Steampunk Universe who is sponsoring IMFF 2019. They have been escorting filmmakers on the red carpet in our film festival since IMFF 2017. Listen to Tracy Hot Nerd Girl and Dude Vader share stories that make us cry and make us laugh. GuestBlackBox.globalhttps://t.co/C63HoC4b4T is the world’s first Creator Empowerment Ecosystem. Now, passionate Content Creators can do what they love and have better lives.BlackBox.global (@blackboxglobal) | TwitterBlackBoxBlack Box Global is about giving creators the freedom to create and earn revenue from their videos and projects. Episode 50 of the SBP Podcast Mobile Filmmaking talks to the founder of BlackBox, Pat McGowan. Listen to our inspiring conversation with Pat McGowan in Episode 50 of the SBP Podcast in its entirety in your favorite podcast app.Just because you have a camera does not mean you are a photographer or a filmmaker. You work on your skills to use the camera as your tool to create your work or product. Once you begin to create high quality videos with whatever camera you have, even a smartphone, you will find others like you earning a living from their craft. How they do that takes a lot of work. BlackBox simplifies the process for you and helps you to succeed. BlackBox believes in creators and provides a supportive system which enables creators with high quality video footage the freedom to create. How does BlackBox do that? With BlackBox, you can create a free account to upload and earn revenue from your videos. But that is just the beginning. In about a year since Pat developed the platform, it has grown into a community of skilled and talented creators ready to collaborate on projects an earn revenue. BlackBox is a global platform where you can create and connect with people all over the world. BlackBox has grown into a community of over 35,000 members in the last 8 months and continues to grow.Listen to Pat McGowan share the benefits of the platform for its members. Pat is a creator with many years of professional experience. He also likes to hang out with bears.With the right mindset and tools, the quality of video and film from smartphones can be extraordinary. There is no reason why someone with exceptional video created with any camera, including your smartphone, cannot earn and be a part of projects you can take pride in. According to Pat, the platform is creating a way to help content creators earn through collaborative revenue sharing. “BlackBox is a creator empowerment community.”“It allows everyone to share the dream and to benefit from the financial reward of that dream by accessing global markets.” BlackBox is a second year sponsor of the International Mobile Film Festival taking place April 27 & 28 in San Diego. Pat McGowan lives in Ottawa, Canada, and is planning to attend #MFF2019SanDiego. If he can make it out to San Diego for the festival, it will be a great opportunity for all creators in the film and video industry to meet him in person during the festival.SBP Podcast: The Voice of Mobile Film™ is for everyone who ever wanted to or is curious about making movies and videos using smartphones.Learn More and Follow BlackBox:Website: https://www.blackbox.global Facebook: https://www.facebook.com/blackboxguild/ Twitter: https://twitter.com/blackboxglobal Instagram: https://www.instagram.com/blackboxglobalofficial/BlackBox Explainer Video - http://bit.ly/2wX9IKa Jeven Dovey Overview Video - https://bit.ly/2kJzDPD BlackBox Founder Interview - http://bit.ly/Techopia-BlackBox Artful Camera Podcast - http://bit.ly/artfulcamerapodcastblackbox Filmmaker Freedom Podcast: http://bit.ly/2MjLCyO*Our Links: *Subscribe, support and listen to bonus episodes and more on Patreon: http://patreon.com/sbppodcastSBP Podcast Blog: http://sbppodcast.wordpress.comSBP Podcast Website: http://sbppodcast.studioiTunes/Apple Podcasts: https://itunes.apple.com/us/podcast/sbp-podcast/id1296673665International Mobile Film Festival Website: http://internationalmobilefilmfestival.comFacebook: http://facebook.com/sbppodcastTwitter: http://twitter.com/sbppodcastHashtag: MobilizeStories Mobile Film Community Website: http://mobilizestories.comSusy Botello on Twitter: http://twitter.com/susybotelloSBP Podcast on Spotify: https://open.spotify.com/show/4ISEF0SZOLyRpw20loXzlo#upsellSmartphone Filmmaking Publication on Medium: https://medium.com/smartphonefilmmakingAre you starting a Podcast? Create a new podcast or network and use the code sbppodcast to apply a 25% discount and save: https://pcast.link/sbppodcast/© Copyright 2019 S. Botello Productions™. All rights reserved. Pat McGowan is the founder of BlackBox.Global. He was a sponsor for IMFF 2018 and is a sponsor for IMFF 2019. All you need to do is press record! Okay, there is a bit more than that. Our guest in Episode 48 of the SBP Podcast takes us on a tour of the entire process from the idea for the film to the very end. John Woosley shot and edited Alex & The Firefly with a smartphone. The original film was 34 minutes long but he cut it down to almost half for a special screening at the International Mobile Film Festival in San Diego, where John will also inspire other filmmakers and attendees with a Q&A presentation on mobile filmmaking. John’s film is a teen love story set in 2001, before smartphones. “First Love Changes Everything.” John shares many details of the process from the screenplay to the equipment he used, techniques to accomplish scenes which were challenging. The cool thing about our conversation with John is that he was willing to go into depth and share things with you in a way everyone with an interest in mobile film can understand and appreciate. Professionals and novices alike will appreciate John sharing real challenges during all phases of production from pre-production to post-production. But the tour of the process comes with solutions for each problem. He names the gear he used to accomplish the look and feel of the film during production and the software he used to shoot and edit. We touched on lenses, a stabilization rig, lightsn and audio which included syncing. He talks about how to create the smooth grain in your films. But that’s not all we discussed. Along with that he took us through the back door to share how he accomplished some things which are really tough to accomplish as a mobile filmmaker. So you too, can accomplish the magic of moviemaking. We hope that you will come out to San Diego April 27 & 28 to meet John Woosley, watch his film and take part in the Q&A presentation. Just don’t forget to bring your phone. #MFF2019SanDiego brings filmmakers from all over the world to our festival to not only watch films but to network and be inspired with presentations, our speakers and special guests, meet and network with filmmakers and industry professionals and enjoy a great event where we celebrate storytelling and filmmaking using smartphones. A bit about John’s background: John Woosley (Writer/Director, Alex & The Firefly)- John has been making films for over ten years and holds a degree in Film & Theater from The University of Kansas. While attending, John studied with Kevin Willmott (Writer, BlacKkKlansman) and directed his debut feature Angel of Music. Additional credits include Loves Fate and the web series Fit Trip with Kimber Westphall. All titles can be streamed on Amazon Prime Video. John holds an MBA from the University of Missouri in Kansas City and works in management consulting.SBP Podcast: The Voice of Mobile Film™ is for everyone who ever wanted to or is curious about making movies and videos using smartphones.Follow Alex & The Firefly on Facebook: https://www.facebook.com/affmovieRead about the film in this article shared by The Utah Film Festival and Awards: http://www.theutahfilmawards.com/alex-the-firefly/Our Links: Subscribe, support and listen to bonus episodes and more on Patreon: http://patreon.com/sbppodcastSBP Podcast Blog: http://sbppodcast.wordpress.comSBP Podcast Website: http://sbppodcast.studioiTunes/Apple Podcasts: https://itunes.apple.com/us/podcast/sbp-podcast/id1296673665International Mobile Film Festival Website: http://internationalmobilefilmfestival.comFacebook: http://facebook.com/sbppodcastTwitter: http://twitter.com/sbppodcastHashtag: MobilizeStories Mobile Film Community Website: http://mobilizestories.comSusy Botello on Twitter: http://twitter.com/susybotelloSBP Podcast on Spotify: https://open.spotify.com/show/4ISEF0SZOLyRpw20loXzlo#upsellSmartphone Filmmaking Publication on Medium: https://medium.com/smartphonefilmmakingAre you starting a Podcast? Create a new podcast or network and use the code sbppodcast to apply a 25% discount and save: https://pcast.link/sbppodcast/© Copyright 2019 S. Botello Productions™. All rights reserved. John Woosley is attending IMFF 2019 in San Diego from Missouri. John is a Special Guest Speaker who is presenting a mobile filmmaking workshop seminar and screen his film, Alex and the Firefly. There are books you read with stories you can visualize like a movie. I call it, “Booksualizing.” But there are books which are not told as a story. Those books can be quite interesting and there may be a story within them which you can visualize as a movie. Writing a screenplay is not the same as writing a book or a story. But our minds can take many concepts and visualize them in a way that they can then turn into a story. However, writing a story from a complex book into a screenplay and then making a movie requires some skill. And then, well, then there is taking that screenplay and shooting it using a smartphone camera. Our hero in this podcast is our guest, Steven Palmer Peterson aka Steve Peterson. He turned a very complex book into a story and then made a movie from it. The film is called, Consensus Reality and it is a feature length film which is one of the film that will be screening at the International Mobile Film Festival in San Diego as part of the Mobile Feature Film competition this April. Episode 47 of the SBP Podcast: The Voice Of Mobile Film™ is a discussion that brings our listeners many details about the complexities of shooting a feature length film with a complex story in a short period of time.The film has a lot of dialogue and revolves around a character who has schizophrenia. It is based on a book written by an attorney who needed to prove to a judge that although he had this condition, he was not a danger to society or to himself. His book was like a journal with complex details that sometimes were out of this world. And so, Steve turned the book into a story and then a film which is, out of this world. The quality of his film is outstanding. The film was shot in New York City which gives the film rich visuals with it’s different location designs. The film’s key cast is comprised of Mason played by Garrett Richmond, Eris played by Christina Toth and The Yansha played by Gopal Divan. When you see the film in the festival, you will find that it has a unique aesthetic quality much like other cinematic films but you will also appreciate the quality of the story itself and its characters. Immediately, from the onset of the very first scene, you are captivated by the protagonist, Mason and his world. A world which his uniquely his but it is beautifully created by the director, Steve Peterson.We hope you get a chance to meet Steve during #MFF2019SanDiego which takes place April 27 & 28 in San Diego.Watch the trailer for the film, Consensus Reality: https://vimeo.com/250721778One of the films Steve mentioned during our game which he forgot the title was Coherence: https://www.imdb.com/title/tt2866360/?ref=nvsr_1Consensus Reality on Facebook: https://www.facebook.com/consensusrealitythemovieSteve Peterson on Facebook: https://www.facebook.com/steve.petersonSteve Peterson on IMDb: https://www.imdb.com/name/nm2967774/?fbclid=IwAR0LcZCX3wNAri4O4iEwfg0E9kc-wJHYJ_wG4W4fLJ9JjBMP5JjowUAFwy8Actor Garrett Richmond: https://www.imdb.com/name/nm5712257/?ref=ttrv_t0Actor Christina Toth: https://www.imdb.com/name/nm5463194/?ref=ttrv_t1Actor Gopal Divan: https://www.imdb.com/name/nm3205586/?ref=ttrv_t2Our Links:Subscribe, support and listen to bonus episodes and more on Patreon: http://patreon.com/sbppodcastSBP Podcast Blog: http://sbppodcast.wordpress.comSBP Podcast Website: http://sbppodcast.studioiTunes/Apple Podcasts: https://itunes.apple.com/us/podcast/sbp-podcast/id1296673665International Mobile Film Festival Website: http://internationalmobilefilmfestival.comFacebook: http://facebook.com/sbppodcastTwitter: http://twitter.com/sbppodcastHashtag: MobilizeStories Mobile Film Community Website: http://mobilizestories.comSusy Botello on Twitter: http://twitter.com/susybotelloSBP Podcast on Spotify: https://open.spotify.com/show/4ISEF0SZOLyRpw20loXzlo#upsellSmartphone Filmmaking Publication on Medium: https://medium.com/smartphonefilmmakingAre you starting a Podcast? Create a new podcast or network and use the code sbppodcast to apply a 25% discount and save: https://pcast.link/sbppodcast/© Copyright 2019 S. Botello Productions™. All rights reserved. Steve Peterson will screen a feature length film for IMFF 2019's Feature Mobile Film Competition. He will be in San Diego to attend our film festival and present a Q & A. Steve lives in Los Angeles and films in New York. Acting, directing, operating a smartphone camera and editing a film to share an incredible well structured story is how Ross Perkins accomplished making a full length feature mobile film. Episode 45 of the SBP Podcast: The Voice of Mobile Film™ takes us to Australia to discuss the experience of making a feature film with an iPhone and a talented cast.We spoke about sound recording and how to integrate a seamless dialogue during camera operation in a moving self-recording scene filled with action and movement. During some scenes some of the actors operate the cameras themselves and it gives the story multiple perspectives. However, the film has one protagonist which actually sneaks up on you in the sense that you discover which character’s perspective the story is being told from. There are many twists and turns in the film which keep the viewer engaged in this dark comedy and thriller.The film emphasizes the point that you need good actors, to portray good characters to make a great story blow you away in any film regardless of what camera you use, or even aesthetic production values. According to Ross, “The film is dialogue heavy.” which also lends to the point of why good actors are instrumental to the value of your film and story. There is a great ensemble of actors to appreciate in the film. We discuss how acting in theatre enriched his career and prepped him for acting in film and filmmaking. And we also talk about the intrusion of a camera in both acting and filmmaking versus the smartphone camera.There is a unique element to the film as it incorporates the current use of smartphones, including apps, GPS, social media and messaging into the story. The creative use of how Ross used the advantage of this brings an intriguing and captivating value to his film. The film is over 120 minutes long and following it as a viewer is incredibly natural and effortless. It brings the viewer to the edge of their seats, it brings laughter and a bit of lip-biting suspense and terror, too. This filmmaker made the best use of a smartphone as the camera but also included the phone into the story as one of the characters. Although there has not been an award given to a smartphone for exceptional acting, if there was, this film would definitely be considered. Mad House is about a home invasion and it is based on a real event that took place, which Ross explains why he felt a need to tone down a bit for his film. Our conversation brought us to discuss a bit about the original Blair Witch Project film and then we spoke a bit about self marketing for filmmakers. We hope you can make it to the film festival in San Diego to meet Ross Perkins, watch the film and participate during the Q&A. 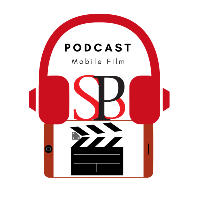 SBP Podcast: The Voice of Mobile Film™ is for everyone who ever wanted to or is curious about making movies and videos using smartphones.Do you like our podcast? Share it and tag us on Twitter or Facebook and we will retweet you with a thank you! Subscribe to our podcast so you never miss the latest episode.Watch the trailer and get a taste of the film: https://vimeo.com/303414632Follow Ross Perkins on Instagram: https://www.instagram.com/rossperkins28/Our Links:Global Mobile Film Awards™ Website: http://globalmobilefilmawards.comSubscribe, support and listen to bonus episodes and more on Patreon: http://patreon.com/sbppodcastSBP Podcast Blog: http://sbppodcast.wordpress.comSBP Podcast Website: http://sbppodcast.studioiTunes/Apple Podcasts: https://itunes.apple.com/us/podcast/sbp-podcast/id1296673665International Mobile Film Festival Website: http://internationalmobilefilmfestival.comFacebook: http://facebook.com/sbppodcastTwitter: http://twitter.com/sbppodcastHashtag: MobilizeStories Mobile Film Community Website: http://mobilizestories.comSusy Botello on Twitter: http://twitter.com/susybotelloSBP Podcast on Spotify: https://open.spotify.com/show/4ISEF0SZOLyRpw20loXzlo#upsellSmartphone Filmmaking Publication on Medium: https://medium.com/smartphonefilmmaking© Copyright 2018 S. Botello Productions™. All rights reserved. Ross Perkins will screen a feature length film for IMFF 2019's Feature Mobile Film Competition. Ross will be in San Diego to attend our film festival and give a Q & A. He lives in Sydney, Australia. GuestCkgoldiingWhen you are going about your day you are experiencing moments. You can connect your moments with your thoughts and create stories you share all the time. One storyteller, accidentally turned one of his videos into a film. In Episode 44 of the SBP Podcast, CK Goldiing shares the story that has inspired captivated the attention of people around the world with its emotional draw. 61 Hugs was a challenge that has made touched many people and brought smiles and shines the light on human kindness in a very simple way. An in-depth discussion about how we can all turn our phones to capture every day moments that tell wonderful stories which connect us as human beings. No special gear needed. All you need is an open mind, perhaps a little challenge and a sprinkle of curiosity as you turn the lens on yourself and the people around you. Through kindness, respect and a bit of humor, complete strangers will gladly let down their guards and go as far as to give a random stranger a hug. Listen to CK share his experiences and what the outcome of his film, 61 Hugs has brought to people who watch it and to his understanding of people and storytelling. “Crippled by a lifetime of overthinking, CK is a typical artist - forever worried about rejection, people’s perceptions and how things look. One day, he is challenged to leave his house, walk the busy streets, and ask sixty-one strangers for a hug. Although terrified by the inevitable rejections ahead, CK accepts, clinging to his long-standing belief that ‘overthinking is the enemy of remarkable’. Filmed in one take using actual footage from the challenge, ’61 Hugs’ demonstrates the remarkable power of optimism, heart, goodwill, human spirit, spontaneity and the universe.” — 61 HugsSBP Podcast: The Voice of Mobile Film™ is for everyone who ever wanted to or is curious about making movies and videos using smartphones.Do you like our podcast? Share it and tag us on Twitter or Facebook and we will retweet you with a thank you! Subscribe to our podcast so you never miss the latest episode.Watch 61 Hugs by CK Goldiing: https://youtu.be/QBLHB85yvwgFollow CK Goldiing:Website: https://www.61hugs.co.ukTwitter: https://twitter.com/CKGoldiingInstagram: https://www.instagram.com/ckgoldiing/Facebook: https://www.facebook.com/OfficialCK/YouTube: https://www.youtube.com/channel/UC3K7Qp6AYPmJBcW5HioiqfgOur Links:Global Mobile Film Awards™ Website: http://globalmobilefilmawards.comSubscribe, support and listen to bonus episodes and more on Patreon: http://patreon.com/sbppodcastSBP Podcast Blog: http://sbppodcast.wordpress.comSBP Podcast Website: http://sbppodcast.studioiTunes/Apple Podcasts: https://itunes.apple.com/us/podcast/sbp-podcast/id1296673665International Mobile Film Festival Website: http://internationalmobilefilmfestival.comFacebook: http://facebook.com/sbppodcastTwitter: http://twitter.com/sbppodcastHashtag: MobilizeStories Mobile Film Community Website: http://mobilizestories.comSusy Botello on Twitter: http://twitter.com/susybotelloSBP Podcast on Spotify: https://open.spotify.com/show/4ISEF0SZOLyRpw20loXzlo#upsellSmartphone Filmmaking Publication on Medium: https://medium.com/smartphonefilmmaking© Copyright 2018 S. Botello Productions™. All rights reserved. CK Goldiing is coming to San Diego from Sheffield in the UK as a Special Guest Speaker, to present his film 61 Hugs, and give a motivating talk about storytelling through smartphone film and video. GuestMontes MethodMontes Method (@MontesMethod) on TwitterA wonderful conversation about acting and the opportunities that lend themselves to today’s actors through mobile filmmaking is the topic of Episode 43 of the SBP Podcast: The Voice Of Mobile Film with Anthony Montes. Anthony Montes has had over 40 years in the film and theater industry and over thirty of those years he has spent teaching and as an acting coach. Anthony lives in L.A. but has been all over the world through his work. If you want to learn some insights on mobile film from the perspective of someone who has experienced the film industry professionally then mobile filmmakers may be surprised to know that as a professional, he has encouraged many students in his classes and actors in the industry to use the smartphone in their pockets to make movies. In this podcast we talk about acting, mobile filmmaking for actors, the benefits of acting for directors and the benefits of directing for actors. We also discuss some of the types of films which may be best suited to a smartphone camera and a number of other issues which are inspiring and may motivate you to just take that phone out and use it to empower yourself and the world through your stories. SBP Podcast: The Voice of Mobile Film™ is for everyone who ever wanted to or is curious about making movies and videos using smartphones.We also talked about an event coming up in a few days and if you are in or around the L.A. area you should go check it out and meet Anthony in person. Outta The Darkness Into The Light takes place at Whitmore-Lindley Theatre Center on December 7 & 8 at 8pm; December 9 at 3PM. 11006 Magnolia Blvd, N. Hollywood. The event is free with RSVP: montesmethod@gmail.comFollow Anthony Montes and learn more about his projects and his work:Website: TheMontesMethod.comIMDb: https://www.imdb.com/name/nm0599114/FaceBook: Facebook.com/MontesMethodYouTube: YouTube.com/MontesMethodInstagram: Instagram.com/MontesMethodTwitter: Twitter.com/MontesMethodOur Links:Global Mobile Film Awards™ Website: http://globalmobilefilmawards.comSubscribe, support and listen to bonus episodes and more on Patreon: http://patreon.com/sbppodcastSBP Podcast Blog: http://sbppodcast.wordpress.comSBP Podcast Website: http://sbppodcast.studioiTunes/Apple Podcasts: https://itunes.apple.com/us/podcast/sbp-podcast/id1296673665International Mobile Film Festival Website: http://internationalmobilefilmfestival.comFacebook: http://facebook.com/sbppodcastTwitter: http://twitter.com/sbppodcastHashtag: MobilizeStories Mobile Film Community Website: http://mobilizestories.comSusy Botello on Twitter: http://twitter.com/susybotelloSBP Podcast on Spotify: https://open.spotify.com/show/4ISEF0SZOLyRpw20loXzlo#upsellSmartphone Filmmaking Publication on Medium: https://medium.com/smartphonefilmmaking© Copyright 2018 S. Botello Productions™. All rights reserved. Anthony Montes lives between Los Angeles and New York and has been acting and teaching for many years. He is on the Judge Panel for the Short Mobile Film Competition in 2019. He will be attending IMFF 2019 as a Judge. Imagine that you have made over one hundred films in your lifetime, because who keeps count over a hundred, and you are now working on your third film shot with your iPhone. Meet Mickey Harrison: 83 years and still making movies!Episode 40 of the SBP Podcast: The Voice of Mobile Film™ introduces you to a filmmaker who has spent over 32 years making films. Her film crews came on set with all the big gear and equipment and cameras you find in a typical film set. She has mentored students from High School to Universities who have become successful participants in the film industry from New York to LA. Imagine that you get to have a lifetime experience working in the industry and attending film festivals and then are told that making movies with smartphones is a thing you can do and so, you do. You just do it. Mickey grew up in New York and her Uncle and Father were actors. Although Mickey was interested, they discouraged her from joining “the family business” and suggested she do something else. So Mickey became a nurse practitioner and volunteered to help in Vietnam, during the war. Yes, she was in the middle of the Vietnam war, but that’s another story for another day.She then came to San Diego and worked at Kaiser Permanente, which is a hospital and insurance company. It was then that she began to look into a career in acting and theater. That’s how she met DJ Sullivan who had a great reputation as an acting coach in San Diego. It was DJ who ultimately advised her to look into working on student films to get more experience. In 1989, shortly before retiring, she volunteered to act in student films and that led her to start her own production company, LuLu Films. Mickey is a writer, a producer, a director, an actor and also had a great reputation as a casting agent. While she worked on films with filmmaking crews, including her own films, in San Diego, I reconnected with her again in late 2015. That’s when she found out about the International Mobile Film Festival, where only films shot with mobile phones qualified. She laughed. But as I explained it to her, she became more and more interested in it by the minute.Her first film competed in IMFF 2017 and was shot with her iPhone. By the second film, Aunt Tillie’s Kitchen, she and her crew Shaun Donelson and Richard Tews, were more experienced. Her comedies are written, directed and produced by her and her company LuLu Films. She also acts as the protagonist in her short films. Comedy is not easy to do and it takes a bit of skill to pull off. However, her films have been successfully funny and they get many laughs.Watch Aunt Tillie’s Kitchen below. You won’t find Mickey on Facebook or Twitter but you can find her on her website. Oh, and you can most likely find her being a charm in our film festivals inspiring everyone. Her motto is “If I can do it, anyone can do it.” And that is truth!SBP Podcast: The Voice of Mobile Film™ is for everyone who ever wanted to or is curious about making movies and videos using smartphones.Mickey’s Website: https://lulufilmsproductions.wordpress.comWatch Aunt Tillie’s Kitchen: https://youtu.be/J6MF1baZCcsOur Links:Subscribe, support and listen to bonus episodes and more on Patreon: http://patreon.com/sbppodcastSBP Podcast Blog: http://sbppodcast.wordpress.comSBP Podcast Website: http://sbppodcast.studioiTunes/Apple Podcasts: https://itunes.apple.com/us/podcast/sbp-podcast/id1296673665International Mobile Film Festival Website: http://internationalmobilefilmfestival.comFacebook: http://facebook.com/sbppodcastTwitter: http://twitter.com/sbppodcastHashtag: MobilizeStories Mobile Film Community Website: http://mobilizestories.comSusy Botello on Twitter: http://twitter.com/susybotelloSBP Podcast on Spotify: https://open.spotify.com/show/4ISEF0SZOLyRpw20loXzlo#upsell© Copyright 2018 S. Botello Productions™. All rights reserved. Mickey Harrison has been making films in San Diego for many years. Mickey began to participate in our film festival in 2016 and has since returned with her own mobile short film in 2017 and is competing in 2019 with her short comedy. She will be attending again for the 4th year in a row and she wants us to share that she is 84 years old. We begin Episode 38 of the SBP Podcast by updating our listeners and followers with how to submit mobile films to the International Mobile Film Festival and how we spent the summer, including our Mobile Filmmaking Panel at San Diego Comic-Con International and a few more news updates. But just a few minutes after that we introduce Senior Marketing Manager of FilmConvert, John Parker. FilmConvert has been a sponsor awarding mobile filmmakers from our film festivals in San Diego. We introduce you to how their software application for color grading supports mobile filmmakers in the industry. John shares his experience in filmmaking along with advice for mobile and other filmmakers using the software and general post production tips. Our conversation with John is informative and in depth. It emphasizes the importance of a good story for filmmakers while explaining how good aesthetics can add to the value of your film shot with any camera but includes tips on how to give your mobile film a more cinematic look. You can download a full featured trial version of FilmConvert right now and begin experimenting. It can be used as a stand-alone application or as a plug in with the most popular editors like Final Cut Pro and Avid.John shares a video contest with our listeners and you can follow FilmConvert and enter the contest using the links below. SBP Podcast: The Voice of Mobile Film™ is for everyone who ever wanted to or is curious about making movies and videos using smartphones.FilmConvert Website: https://www.filmconvert.com/Facebook: https://www.facebook.com/FilmConvertInstagram: https://www.instagram.com/filmconvert/Twitter: https://twitter.com/filmconvertOur Links:Subscribe and listen to bonus episodes and more on Patreon: http://patreon.com/sbppodcastSBP Podcast Blog: http://sbppodcast.wordpress.comSBP Podcast Website: http://sbppodcast.studioiTunes/Apple Podcasts: https://itunes.apple.com/us/podcast/sbp-podcast/id1296673665International Mobile Film Festival Website: http://internationalmobilefilmfestival.comFacebook: http://facebook.com/sbppodcastTwitter: http://twitter.com/sbppodcastMobilizeStories Mobile Film Community website: http://mobilizestories.comSusy Botello on Twitter: http://twitter.com/susybotelloSBP Podcast on Spotify: https://open.spotify.com/show/4ISEF0SZOLyRpw20loXzlo#upsell© Copyright 2018 S. Botello Productions™. All rights reserved. FilmConvert sponsored the Mobile Film School (non-accredited) in San Diego in 2016 and later sponsored our film festival. They continue to sponsor our film festival and support mobile filmmakers. Why would anyone want to sponsor a film festival where only films shot with smartphones qualify? We asked our sponsors from #MFF2018SanDiego to explain why they sponsored us and have chosen to sponsor it again next year. The International Mobile Film Festival is San Diego’s smartphone film festival and has brought many mobile filmmakers from abroad to our beautiful city.Neal and Jana Hallford are experienced in audio production, filmmaking and art. Neal also works in the gaming industry. Their passion for supporting the art industry and the community in San Diego has earned them a lot of respect within the community in San Diego. Neal was making movies with a Super 8 film camera as a kid, just like the protagonist in the film…without the Aliens and train wreck, of course. Jana and Neal are married. They work together and formed Swords and Circuitry Studios which has given them opportunities to create great content such as a film which took part in some film festivals and also as audio producers of Uncharted Regions with some well-known industry professionals such as Gigi Edgley, Tamara Alsaied and Randy Davison also featuring Joe Paulson, Mary Grace Gregg and Larry Nemecek.We are a part of the film and video community in San Diego because we have been working in the industry for many years before we created the International Mobile Film Festival and it’s a small world of a few million people in San Diego with a tight film community. We were pleased when Neal and Jana offered to sponsor this year’s film festival and so we also asked them to be a part of our Judging Panel, independently. But the best way to find out why they are sponsoring our film festival is to ask them to share their story on our public podcasting platform. Our guests share their experience and a bit of their biography and their experience in their first mobile film festival experience. They were delighted to make new friends with the attending filmmakers from San Diego and abroad. They were intrigued with the films and were pleased with the event itself. But of course, there is more to that and what they have going on with their latest audio production Uncharted Regions “These Haunted Hills” which will be a part of this year’s San Diego Comic-Con International.Neal and Jana share lots of in-depth information about their audio production which is a story, produced as a quality film production with only the audio. They have written the script, and mastered the story with special effects and all that is involved to complete a wonderful story with no visuals other than your imagination, guided through their techniques for audio storytelling.They are also hosting a panel, which they invited me as host of the SBP Podcast: The Voice of Mobile Film™ and I am honored to be a part of their panel, “Heroes At the Mic.” If you are attending Comic-Con in San Diego, check out both their panels which take place at the San Diego Central Library inside the Neil Morgan Auditorium. SBP Podcast: The Voice of Mobile Film™ is for everyone who ever wanted to or is curious about making movies and videos using smartphones.Uncharted Regions “These Haunted Hills” panel takes place on Friday, July 20th at 3pm.Heroes At the Mic panel takes place Thursday, July 19th at 1pm.Follow the Neal and Jana Hallford on social media and their websites below:Uncharted Regions on Facebook: https://www.facebook.com/UnchartedRegions/Uncharted Regions Website: https://www.unchartedregions.comTwitter: https://twitter.com/unchartedregionSwords and Circuitry Studios on Facebook: https://www.facebook.com/SwordsandCircuitry/Swords and Circuitry Studios Website: https://www.swordsandcircuitry.comTwitter: https://www.twitter.com/swordscircuitryJana Hallford on Twitter: https://twitter.com/JanaHallfordNeal Hallford on Twitter: https://twitter.com/nealiiosOur Links:Subscribe and listen to bonus episodes and more on Patreon: http://patreon.com/sbppodcastSBP Podcast Blog: http://sbppodcast.wordpress.comSBP Podcast Website: http://sbppodcast.studioiTunes/Apple Podcasts: https://itunes.apple.com/us/podcast/sbp-podcast/id1296673665International Mobile Film Festival Website: http://internationalmobilefilmfestival.comFacebook: http://facebook.com/sbppodcastTwitter: http://twitter.com/sbppodcastMobilizeStories Mobile Film Community website: http://mobilizestories.comSusy Botello on Twitter: http://twitter.com/susybotelloOur Mobile Filmmaking Workshop at San Diego’s Comic-Con International takes place on Friday, July 20th at 1pm. If you are attending Comic-Con then you can add it to your schedule through this link on the program: https://comiccon2018.sched.com/event/FVXNFacebook Event Page: https://www.facebook.com/events/231594534108260/© Copyright 2018 S. Botello Productions™. All rights reserved. Jana and Neal Hallford of Swords and Circuitry Studios in San Diego, sponsored IMFF 2018. They continue to sponsor our film festival in 2019 and have added their audio production, Uncharted Regions as a sponsor for 2019. One day you are an actor meeting with your agent and auditioning to be cast in a film and the next day, well, maybe you are the director hiring actors including yourself. That’s the reality and opportunity brought to you by the mobile film industry. Narelle Nash won Third Place at the International Mobile Film Festival and her film, The Actor received a nomination for Best Comedy by the Global Mobile Film Awards™ 2018. Episode 34 of the SBP Podcast: The Voice of Mobile Film™ is a fun conversation with Narelle Nash who is an actor living in Australia. When she heard about making movies with smartphones and that some notable directors were doing it, she decided to jump in and give it a shot. Her story is a comedy about what actors go through auditioning for parts in films. And yes, it’s funny. Narelle attended #MFF2018SanDiego where her film screened and she was able to witness the reaction to her film from the audience in person. To her surprise, she was awarded the Third Place award and she flew home to Australia with her trophy and a nomination in the “Oscars” of mobile film, Global Mobile Film Awards™. Her award is proof that with a good story idea and some storytelling skills, you can make a film worthy of an award at an international film festival. Her film was selected by a panel of judges. Although people will tell you that you need to have this, or that, for making a good film…well, that’s not always the case. Narelle used an apartment as her location and a wall as a staging area, some laptops and a funny story line with good actors. Oh, and there was the lamp for light. Listen to the story she shares about how they pulled it off. It may inspire you into jumping into making that idea for a story into a mobile film today, instead of waiting to buy equipment. The Actor was her first filmmaking experience. She had some previous experience in theater and acting but she never directed a film before. She shot her film with an iPhone, if you are wondering.And if you still doubt where mobile filmmaking can lead you, well…once you make a film with your phone and connect with other mobile filmmakers, you will be inspired to keep making mobile films. Don’t be surprised if you hear about her next mobile film for #MFF2019SanDiego.SBP Podcast: The Voice of Mobile Film™ is for everyone who ever wanted to or is curious about making movies and videos using smartphones.Watch her Award Winning film, The Actor: https://youtu.be/2lwG5F4EavgNarelle received some publicity in Australia, how cool is that? https://www.theleader.com.au/story/5427553/amateur-filmmaker-on-a-roll/?cs=3942Check in on Narelle Nash on imdB: https://www.imdb.com/name/nm5775642/Her new business venture website: http://www.roleplay4solutions.com.auFacebook: https://www.facebook.com/roleplay4solutions/Mentioned in the podcast was the launch on June 21st of the Mobile Film Community and Movement #MobilizeStories and monthly contests. Check it out on the website: www.mobilizestories.com and use the Hashtag #MobilizeStories to connect with the community. MobilizeStories Facebook, Instagram & Twitter: @mobilizestoriesOur Links:Subscribe and listen to bonus episodes and more on Patreon: http://patreon.com/sbppodcastSBP Podcast Blog: http://sbppodcast.wordpress.comSBP Podcast Website: http://sbppodcast.studioiTunes/Apple Podcasts: https://itunes.apple.com/us/podcast/sbp-podcast/id1296673665International Mobile Film Festival Website: http://internationalmobilefilmfestival.comFacebook: http://facebook.com/sbppodcastTwitter: http://twitter.com/sbppodcastSusy Botello on Twitter: http://twitter.com/susybotello© Copyright 2018 S. Botello Productions™. All rights reserved. Narelle Nash is from the Sydney area in Australia and submitted a short film for IMFF 2018. To her disbelief, she flew back to Australia with a trophy for Third Prize. Narelle submitted a film for IMFF 2019 which will screen in our film festival. I Don’t Know was the title of their mobile film which screened during the International Mobile Film Festival 2018. Mother and son from San Diego share their story in the Community Stories category during #MFF2018SanDiego about life caring for her Mom who has Alzheimers in episode 33 of the SBP Podcast. Anthony is an indie filmmaker and has been making films since he was a kid. Pamela attended our Mobile Filmmaking Panel at Comic-Con International San Diego in 2016. She was inspired to make a film using her smartphone and turned to her filmmaker son and shared her idea. Their story is interesting because they are already planning their next mobile film. I share some tips and tricks with them for their next film during the podcast and they share their experience. They share apps and other mobile filmmaking information from their experience. Anthony named an app for AR storyboarding called Blocker.Community Stories is a program we created when we began to organize our film festival and we hope more people share stories from within their community or culture using their smartphones to capture it. It’s purpose is to give a voice to the story from within. We discuss the purpose of sharing internal stories and how it can help connect people from different generations, such as kids making films of their grandparents. We believe that by filling the gap between grandparents and grandchildren with stories would benefit relationships and shed a new light on grandparents and the elderly in society.This podcast is filled with mobile filmmaking information from our guests. The results of our Twitter polling on Android video editing apps is mentioned at the end of the podcast. Submissions for #MFF2019SanDiego are now open. SBP Podcast: The Voice of Mobile Film™ is for everyone who ever wanted to or is curious about making movies and videos using smartphones.Watch Pamela and Anthony’s film, I Don’t Know below. We do need to warn viewers that it may be a bit uncomfortable for some audiences. It’s a documentary in the life of someone living with Alzheimer’s Disease.https://youtu.be/xEB-v1tKPKULinks to follow Pamela Bradley: Website: http://pamelabradley.mykajabi.com Facebook: @liverockfit Instagram: @pamela2bemeLinks to follow Anthony Bradley: Website: http://www.aircapitalproductions.com Facebook: http://facebook.com/aircapitalproductions Twitter: @aircapitalpro Instagram: @aircapitalproOur Links:Subscribe and listen to bonus episodes and more on Patreon: http://patreon.com/sbppodcastSBP Podcast Blog: http://sbppodcast.wordpress.comSBP Podcast Website: http://sbppodcast.studioiTunes/Apple Podcasts: https://itunes.apple.com/us/podcast/sbp-podcast/id1296673665International Mobile Film Festival Website: http://internationalmobilefilmfestival.comFacebook: http://facebook.com/sbppodcastTwitter: http://twitter.com/sbppodcastSusy Botello on Twitter: http://twitter.com/susybotello© Copyright 2018 S. Botello Productions™. All rights reserved. Pamela and Anthony Bradley are a mother and son who submitted a film for IMFF 2018. The film was selected as a Community Story and they shared the story of their Mom and Grandmother. Our guest in episode 31 of the SBP Podcast: The Voice of Mobile Film™ has thirty years experience in film, television and video and just graduated from High School. Seth Dacio is one of the filmmakers who shot a mobile film with his smartphone. His film made it to the International Mobile Film Festival 2018. He lives in San Diego. Seth attended the entire weekend #MFF2018SanDiego film festival. He took advantage of the benefits of attending such as networking with like-minded filmmakers of all ages and mobile film pioneers; taking part in the Q&A Session and mobile filmmaking workshop and more. Seth was thrilled during the red carpet event prior to the awards ceremony. Listen to Seth as he explains how he got started in the industry as a kid and decided he wanted to be behind the camera instead of in front of it. Seth Dacio has a presence online complete with a portfolio of 18 professional videos. He has experience working for a production company and is just getting started reviewing apps with his video production skills. If you are young and wondering how to get build your brand, whether you are a YouTuber, an aspiring filmmaker, or basically anything you are passionate about, then this podcast is for you. If you are older and want to know more about mobile filmmaking, building an online presence, branding yourself and what tools to use to enhance your skills, then this is also for you. Seth’s a part of the mobile film community which he says is “the future of filmmaking.” We are looking forward to his success as he grows and excels in the industry. SBP Podcast: The Voice of Mobile Film™ is for everyone who ever wanted to or is curious about making movies and videos using smartphones.Watch Seth’s video which screened during #MFF2018SanDiego: https://youtu.be/AVmDEzN9nwUFollow Seth online and check out some of his videos! Website: https://sethdfilms.com/ IMDb page: https://www.imdb.me/sethdacio Youtube: https://www.youtube.com/sethdfilms Vimeo: https://vimeo.com/sethdfilms Facebook Page: https://www.facebook.com/sethdacio/ Twitter: https://twitter.com/sethdfilms Instagram: https://instagram.com/sethdfilms/ Linkedin: https://www.linkedin.com/in/sethdacio/Videos: Enlight Videoleap Editing App Review: https://www.youtube.com/watch?v=zwy7HW7I-Ro Pokemon Go - The Pokemon Adventure (iphone 6): https://www.youtube.com/watch?v=U8hkMUyvp7g 10 Things I’m Thankful For (combination of iphone and dslr): https://www.youtube.com/watch?v=YXm96miIxpUOur Links:Subscribe and listen to bonus episodes and more on Patreon: http://patreon.com/sbppodcastSBP Podcast Blog: http://sbppodcast.wordpress.comSBP Podcast Website: http://sbppodcast.studioInternational Mobile Film Festival Website: http://internationalmobilefilmfestival.comFacebook: http://facebook.com/sbppodcastTwitter: http://twitter.com/sbppodcastSusy Botello on Twitter: http://twitter.com/susybotello© Copyright 2018 S. Botello Productions™. All rights reserved. Seth Dacio submitted a film to IMFF 2018 at 17 years old. He attended our film festival and is returning with a new film for IMFF2019. Seth is from San Diego. Avaah Blackwell is on the Judge Panel in IMFF 2019 for the Feature Mobile Film Competition. Aris Tyros submitted his film, How I Became A Movie Theatre Murderer for IMFF2017. He came to our film festival in San Diego from Toronto, Canada and flew home with Second Prize. If you are a writer and a storyteller then you may really enjoy listening to Brian Hennings. Brian comes to you as a storyteller and writer. Like most writers, sharing your stories is an important aspect of being a writer. Brian realized he could make films with his Samsung smartphone and submitted his first mobile film to the International Mobile Film Festival in San Diego for #MFF2017SanDiego. His film, Express, was selected and we met Brian as a mobile filmmaker in San Diego. He enjoyed his experience and submitted a new film this year to #MFF2018SanDiego, and he flew out to San Diego again, to be a part of all that goes on in the festival. He reconnected with some and met some new filmmakers. But Brian won the First Place award for best film this year in the festival, so he took home a trophy. His film was also nominated to the Global Mobile Film Awards™ next year for Best Cinematography. The Awards Ceremony is the “Oscars” of mobile film.Now that Brian is back home in Perth, Australia, we wanted to catch up with him to discuss his mobile filmmaking experience as a storyteller. In Episode 28 of the SBP Podcast, we discuss his winning film, Focus and much ado about making films with smartphones. His insights are inspiring and he shares a perspective that comes from his unique experiences. SBP Podcast: The Voice of Mobile Film™ is for everyone who ever wanted to or is curious about making movies and videos using smartphones.Links:Follow Brian Hennings at Lot3 Media: https://www.facebook.com/Lot3Media/Patron Bonus Podcast Episodes and Discounts on Patreon: http://patreon.com/sbppodcastSBP Podcast Blog: http://sbppodcast.wordpress.comSBP Podcast Website: http://sbppodcast.studioInternational Mobile Film Festival Website: http://internationalmobilefilmfestival.comFacebook: http://facebook.com/sbppodcastTwitter: http://twitter.com/sbppodcastSusy Botello on Twitter: http://twitter.com/susybotello© Copyright 2018 S. Botello Productions™. All rights reserved. Brian Hennings submitted a film to IMFF2017 and attended. We were the first mobile film festival to screen his film, Express. He submitted another film he made to submit to our film festival in 2018. He made the trip from Perth, Australia to fly home with First Prize and a trophy. Chuck Copeland was a participant in #MFF2018SanDiego and enjoyed his first film festival experience with his short iPhone film The Workweek. He has experienced the film industry and even worked for a film festival but he never experienced a film festival as a filmmaker. During the red carpet walk, filmmakers who attended the International Mobile Film Festival in San Diego were escorted by Star Wars Steampunk Universe. Chuck is a fan of cosplay and since he connects San Diego to Comic-Con, he thought having a cosplay group playing a part on the red carpet was very appropriate for our festival. And we think so too, especially since it’s truly an international film festival where filmmakers and others come from other countries and states.Episode 27 of the SBP Podcast is an interesting conversation with someone who is a fan of the film industry and film festivals. Chuck was able to have his first film festival experience using his phone camera. Chuck shares a lot of stories about his past and what his plans are for the future with mobile film. He may be in our next film festival whether he makes a film or not. While he was in San Diego attending our film festival he was submitting films to member film festivals of the Global Mobile Film Awards™ such as Cinephone in Barcelona and SF3 Smartphone Flick Fest in Sidney, and other film festivals.Chuck was also nice enough to allow us to record a bonus podcast for our patrons and you can find it on our Patreon page. SBP Podcast: The Voice of Mobile Film™ is for everyone who ever wanted to or is curious about making movies and videos using smartphones.Links:Chuck Copeland’s Twitter: http://twitter.com/ChuckC07Patron Bonus Podcast Episodes and Discounts on Patreon: http://patreon.com/sbppodcastSBP Podcast Blog: http://sbppodcast.wordpress.comSBP Podcast Website: http://sbppodcast.studioInternational Mobile Film Festival Website: http://internationalmobilefilmfestival.comFacebook: http://facebook.com/sbppodcastTwitter: http://twitter.com/sbppodcastSusy Botello on Twitter: http://twitter.com/susybotello© Copyright 2018 S. Botello Productions™. All rights reserved. Chuck Copeland came from Toronto, Canada to screen his short film. The two-day event in San Diego, celebrated mobile filmmaking around the world. Several filmmakers came out to be a part of it in person and we are extremely grateful to them for doing so. Not all filmmakers are able to make the trip and attend so this year, since we host the SBP Podcast to give a voice to the mobile film community, we decided to host this Roundtable discussion about the festival for our listeners around the world, and those who could not come. In this roundtable were several of the filmmakers, sponsors and our brand ambassador Aaron Nabus.Brian Hennings and Narelle Nash from Australia, who accepted awards during the red carpet Awards Ceremony participated with Chuck Cropland from Toronto, Prakash Gandhi Natarajan, and Seth Dacio from San Diego were some of the star filmmakers from the film festival who were able to stay for the roundtable podcast.Also with us were Neal and Jana Hallford from Swords and Sorcery Studios and J.R. Thrasher from San Diego Real Estate Veterans who all sponsored our film festival.The podcast began with an introduction around the table and then everyone spoke about their experience at the film festival from their perspective. These filmmakers were a lot of fun to talk to and had a great sense of humor. It was great hearing from Seth Dacio, one of the youngest filmmakers, still in his teens, about how much he enjoyed the red carpet experience with the Star Wars Steampunk Universe cosplay group escorts. Soon after that we held the “Battle of the Phones” session which was lots of fun between Brian and Narelle. We also get to hear the perspective of some of our local sponsors.The podcast was a nice addition to the festival for everyone who could not make it. It is probably the next best thing to sitting down with some of the people who took part in the festival. Hope you enjoy the discussion and subscribe to listen to more coming weekly. If this is the first time you have listened to our podcast, feel free to cruise through the previous episodes of our podcast where we have discussions with our guests about mobile film. You can listen on iTunes and GooglePlay, Stitcher and other platforms and you can download the episode to listen offline anywhere, including your car, while you drive. We want to thank all the filmmakers who were a part of our film festival and whose films were screened.You can get more details about the International Mobile Film Festival in San Diego on the website. SBP Podcast: The Voice of Mobile Film™ is for everyone who ever wanted to or is curious about making movies and videos using smartphones.Links:Patron Bonus Podcast Episodes and Discounts on Patreon: http://patreon.com/sbppodcastSBP Podcast Blog: http://sbppodcast.wordpress.comSBP Podcast Website: http://sbppodcast.studioInternational Mobile Film Festival Website: http://internationalmobilefilmfestival.comFacebook: http://facebook.com/sbppodcastTwitter: http://twitter.com/sbppodcastSusy Botello on Twitter: http://twitter.com/susybotello© Copyright 2018 S. Botello Productions™. All rights reserved. A roundtable podcast session with some of the attending filmmakers from IMFF 2018 and a couple of the sponsors who attended. This session was recorded immediately after the Awards Ceremony. May the battle between two winners begin as they make their case for the iPhone versus the Samsung. Who will win? Listen to find out. Fun podcast! Prakash Gandhi has a story to share about how he was motivated to become an innovative smartphone videographer and build his business around it. On this episode of the SBP Podcast, he shares how he decided to go from being a dancer to becoming a videographer using mobile cameras, none of which were DSLRs.Prakash made a promotional video sharing the story of a business using an iPhone and submitted it to the International Mobile Film Festival in San Diego where the film was accepted in 2015. He came to San Diego from Austin, Texas and participated in the event and met other mobile filmmakers which he still supports. Prakash has lots of experience shooting videos for his clients but his favorite are travel films and videos he shoots using iPhones. He submitted a film he shot in Italy to the film festival in San Diego #MFF2018SanDiego where he plans to attend and meet new mobile filmmakers and share what he has learned and learn more. He soon created Dhara Visual, a production & filmmaking company.Prakash shares lots of information, apps, filmmaking gear, techniques and more for our listeners. You won’t want to miss this episode if you are planning a Spring Break trip or vacation as we are getting close to April. There are many apps he shares with you and filmmaking accessories as well. After you listen to this podcast, be sure to catch the bonus SBP Podcast for our patrons on the Patreon page for detailed advice and information on making awesome travel videos with smartphones.Watch one of his travel video’s featuring India https://youtu.be/pJXYfJfbEo8Follow Prakash Gandhi’s Company Dhara VisualFacebook:https://www.facebook.com/dharavisualInstagram:https://www.instagram.com/dharavisual/Twitter:https://twitter.com/dharavisualYouTube: https://www.youtube.com/channel/UCugRIdG4exhI71JWnUsAuNQVimeo:https://vimeo.com/dharavisualSBP Links:Patron Bonus Podcast Episodes and Discounts on Patreon: http://patreon.com/sbppodcastSBP Podcast Blog:http://sbppodcast.wordpress.comSBP Podcast Website:http://sbppodcast.studioInternational Mobile Film Festival Website:http://internationalmobilefilmfestival.comFacebook:http://facebook.com/sbppodcastTwitter:http://twitter.com/sbppodcastSusy Botello on Twitter:http://twitter.com/susybotello© copyright 2018 S. Botello Productions™. All rights reserved. Prakash Gandhi submitted a short film and attended our film festival in 2015 in San Diego and continued to submit short films in following years. He returned to San Diego in 2018 and has confirmed his attendance in 2019. Meet a father and daughter who are making films using their smartphones. Miranda Mullings was 11-years-old last year, and her father, Anthony De La Cruz is an actor. In 2016, he made a film that he submitted into the International Mobile Film Festival in San Diego. So when he decided to make a new film for our film festival last year, his daughter decided that she wanted to make a film using her smartphone as well. Miranda was inspired by the experience her father had in the festival in 2016. However, she was also invited during the Q&A Panel, by the founder of the festival, to make a movie with a mobile phone and submit it to the festival for 2017. Miranda was shy and quiet and even her teachers were pointing it out to her parents. But we invited Miranda to come with her father and another filmmaker to promote the festival event in the San Diego KUSI news channel to be interviewed. Miranda took part in the festival’s Q&A Panel with her father and answered questions from the moderator and attendees. Making a movie with her smartphone and being exposed to public speaking helped Miranda grow into a more confident person. Now, as a 12-year-old filmmaker, she made a new film for this year’s #MFF2018SanDiego. She looks forward to being in the film festival again and her filmmaking skills are evolving quite fast. She already has a story in mind for her next film. Listen to Miranda and her father talk about making films using smartphones and you will be inspired no matter what your age is. Their story is one for all families and mobile filmmaking may bring you closer to your parents or your children through storytelling.You can meet Miranda and Anthony during our film festival this year on April 28 & 29 in San Diego. Also, listen to the bonus episode with them on our Patreon page where they share tips to help parents and kids make films and support each other as filmmakers.During this podcast, SBP Ambassador Aaron Nabus joins us as Guest Host. You can listen to Aaron’s podcast at HallH.com*Guest Links: *“Web Hub” for Anthony De La Cruz: www.anthonydelacruzartist.comAnthony De La Cruz on Facebook: https://www.facebook.com/anthonydelacruz.artistAnthony’s Instagram: https://www.instagram.com/anthonydelacruz.artistAnthony on IMDB: http://www.imdb.com/name/nm3635157/SBP Links:Patron Bonus Podcast Episodes and Discounts on Patreon: http://patreon.com/sbppodcastSBP Podcast Blog: http://sbppodcast.wordpress.comSBP Podcast Website: http://sbppodcast.studioInternational Mobile Film Festival Website: http://internationalmobilefilmfestival.comFacebook: http://facebook.com/sbppodcastTwitter: http://twitter.com/sbppodcastSusy Botello on Twitter: http://twitter.com/susybotello© copyright 2018 S. Botello Productions™. All rights reserved. Anthony De La Cruz first attended our film festival in 2016 with a short music video and later returned in 2017 with a short film. His young daughter Miranda June Mullings, submitted a film in 2017 & 2018. Episode 14 Claudinho Andres in Santiago, ChilePublished 1/22/18Music In Films Shot With SmartphonesSBP Podcast: The Voice Of Mobile FilmShooting music videos with a smartphone is tricky but also quite an advantage over full sized cameras and crew. If you are considering getting creative with your film with regards to mixing footage and music, especially if your music is rhythmic, then take notes while our guest shares his experience and insights. Claudinho Andres Gomez attended the International Mobile Film Festival in April 2017 as a participant with a short music video. His film, Beat the city, was shot with a smartphone and no audio capturing gear while he was studying in New York. He broke the rules set by his instructor and bypassed the norms in his filmmaking studies in order to make his film. The outcome of his experiment is part of the podcast. Claudinho has made films and participated in many film festivals but he surprised us with his candid observations and what he experienced in our film festival in San Diego. Beat The City is currently available at Amazon so, while we cannot share the entire video, we share a link for the trailer with you. As you listen to the podcast, you will find Claudinho is a serious artist. The details and backstory to the making of his film provides a great resource to everyone who is looking to make a music video guided by a story with a message. We also asked him to share The Science Of Music In Films Shot With Smartphones which is available exclusively to our patron subscribers as a bonus episode to this podcast on Patreon.com. You will find it at www.patreon.com/sbppodastWatch the trailer to Beat The City:https://vimeo.com/184168197Beat The City on Amazon:https://www.amazon.com/BEAT-CITY-Claudinho-Andres-Gomez/dp/B01M97W8EW/ref=sr11?s=instant-video&ie=UTF8&qid=1481641297&sr=1-1&keywords=beat+the+cityBeat The City Website:http://www.beatthecityfilm.comBonus Podcast - The Science Of Music In Films Shot With Smartphones:http://patreon.com/sbppodcastMentioned in Podcast - Sponsor for IMFF 2017 & 18: http://FilmConvert.com (Color Grading Software)SBP Podcast Blog: http://sbppodcast.wordpress.comSBP Podcast Website:http://sbppodcast.studioFacebook:http://facebook.com/sbppodcastTwitter:http://twitter.com/sbppodcastSusy Botello on Twitter:http://twitter.com/susybotellocopyright 2018 S. Botello Productions. All rights reserved. Claudinho Andres attended IMFF2017 and screened a film in the short film competition. Episode 15 of the SBP Podcast: The Voice of Mobile Film. A conversation with Raphael Corkhill, a leading actor in Conrad Mess’ film Time To Pay Off Debts shot in New York. Screened in the International Mobile Film Festival in San Diego in April 2016 as the first screening in the U.S. Raphael is living in New York but is from Wales and lived in London. He has also lived in L.A. and is an accomplished actor. His first work in the mobile film industry was as one of the leads in Time To Pay Off Debts, directed by famed iPhone filmmaker Conrad Mess in 2015 which we screened in the International Mobile Film Festival in San Diego. Our screening was the first in the U.S.Raphael was one of the burglars in the film, which is a Mobster film set after WWII. The film was shot in New York.Our discussion begins with the experience on working in the film directed by Conrad Mess who is the world’s most awarded iPhone filmmaker. However, the discussion quickly gets passionate as we discuss our views and perspectives on storytelling through the film medium and how he views it as an actor in the entertainment industry. There is no clear defining line between our perspectives, which makes the conversation a bit more interesting and entertaining.The importance of a good film is the story. Raphael spoke about the importance of sticking to a story during filmmaking. He says the effects, the musical score, and such are important but if you don’t have a story to captivate your audience and keep them engaged then they won’t watch the film. Talked about the current state of tech and where it’s heading. But the concept of storytelling is still the same as it was in the beginning of humankind. However, the methods of storytelling are advancing and evolving as we speak and it’s happening fast.We also discussed acting and how the audience’s perspective affects the absorption of the message of a story according to a performance.Raphael explained his experience in being directed via Skype during Time To Pay Off Debts when they ran out of time and Conrad Mess had to leave the location of the production before it was complete. Time To Pay Off Debts was Raphael’s only experience working in a mobile film. We interviewed Raphael a few years back on our blog MobileMedia.press and we share a link to that below: The Challenge Of Smartphone Filmmaking. It is an in-depth interview with Conrad Mess about the film and Raphael Corkhill about his experience. We also include a link to watch the film: Time To Pay Off Debts where you can watch Raphael in action. We need to warn you, the film is not kid friendly. Our Patreon page has a bonus podcast interview with Raphael which is highly informative about acting for another medium which most people don’t even realize requires acting skills, and you’ll have to go there to find out what it is. You will not be disappointed!Raphael Corkhill on IMDB:http://www.imdb.com/name/nm4875282/Raphael Corkhill on Twitter:https://twitter.com/raphaelcorkhillRaphael Corkhill on Instagram:https://www.instagram.com/rcorkhill/The Challenge Of Smartphone Filmmaking (MobileMedia.press):https://mobilefilmmedia.wordpress.com/2016/11/01/the-challenge-of-smartphone-filmmaking/Time To Pay Off Debts Video:https://youtu.be/E8fysjUBUWMMentioned in Blog (IMFF 2018 sponsor) Red Giant:https://www.redgiant.comPatron Bonus Podcast Episodes and Discounts on Patreon:http://patreon.com/sbppodcastSBP Podcast Blog:http://sbppodcast.wordpress.comSBP Podcast Website:http://sbppodcast.studioInternational Mobile Film Festival Website:http://internationalmobilefilmfestival.comFacebook:http://facebook.com/sbppodcastTwitter: http://twitter.com/sbppodcastSusy Botello on Twitter:http://twitter.com/susybotello© copyright 2018 S. Botello Productions™. All rights reserved. Raphael Corkhill is on the Judge Panel for IMFF2019's Feature Mobile Film Competition.